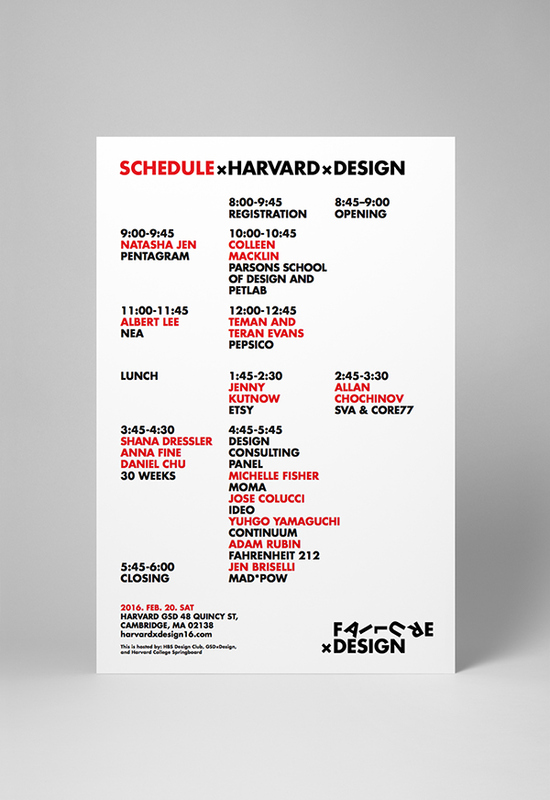 The Harvard Graduate School of Design recently hosted the 4th Annual HarvardxDesign Conference, the yearly event that brings together innovators and students from every field to engage in and explore all things design. 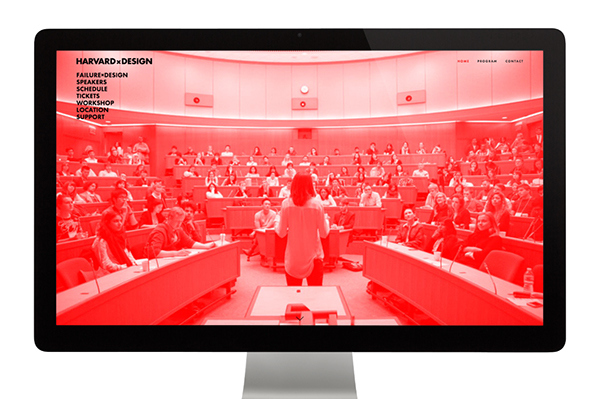 Natasha Jen was a keynote speaker at the conference and also designed the identity for the event. 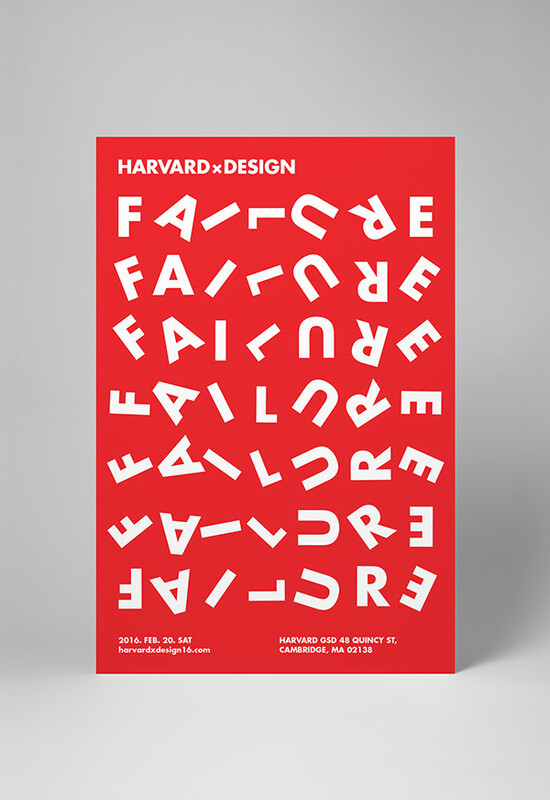 Titled “FailurexDesign,” this year’s edition looked at the role of productive failure in design, and Jen's graphics featured typography that trips over itself to form striking patterns on conference materials. 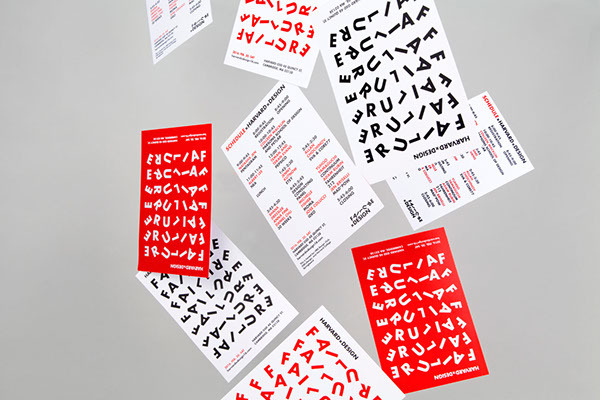 Jen and her designers set the identity spinning across applications that included the website, poster, programs, totes, pencils, and more. 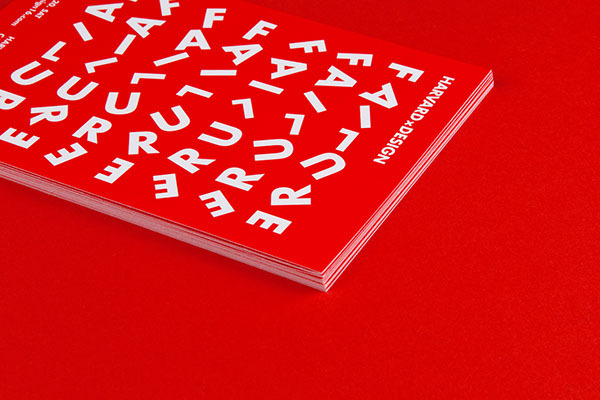 The team precisely calibrated the “fall” and rotation of the letters in the logotype, set in Futura Bold. 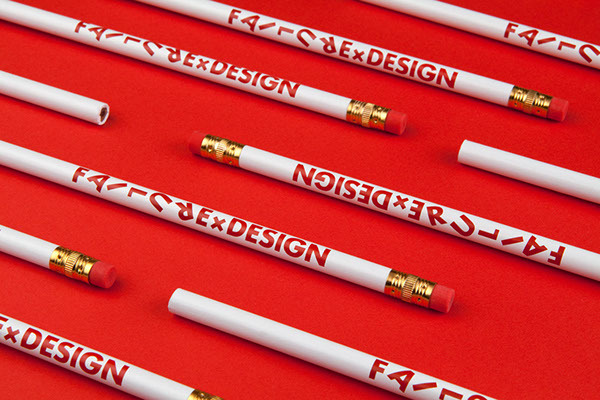 When the letters aren't rolling over, they slip, slide or appear generally unstable, and a giant “X” crosses out the conference t-shirt. 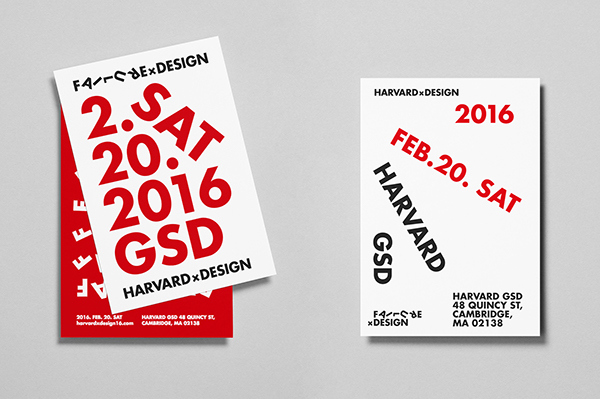 The color palette features a particularly alarming shade of red, balanced with black and white. 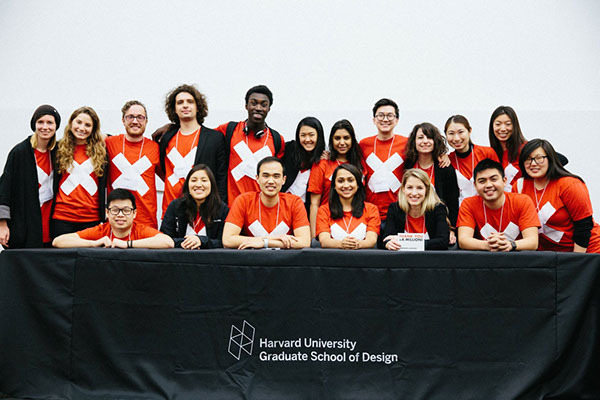 The Harvard Graduate School of Design recently hosted the 4th Annual HarvardxDesign Conference, the yearly event that brings together innovators and students from every field to engage in and explore all things design. 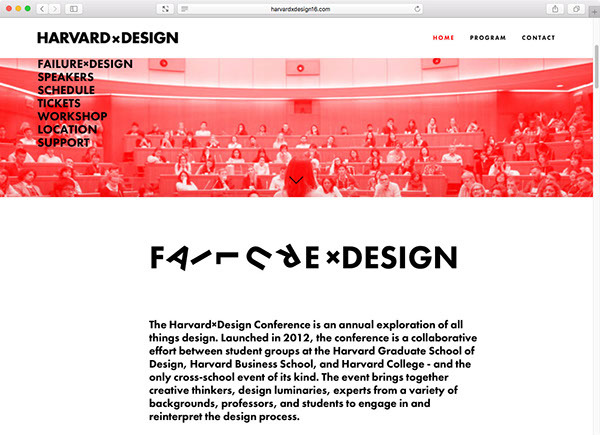 Natasha Jen was a keynote speaker at the conference and also designed the identity for the event. 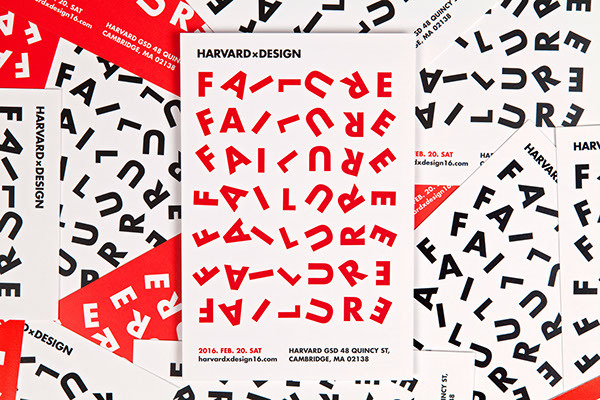 Titled “FailurexDesign,” this year’s edition looked at the role of productive failure in design, and Jen's graphics featured typography that trips over itself to form striking patterns on conference materials.